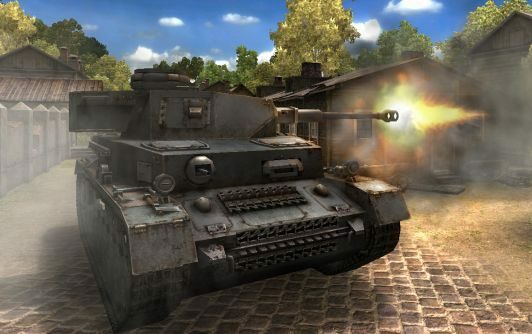 History has always taken a side role in World of Tanks, so people could end arguments over what tank would trump which with “I’ll see you on the battlefield, sir!”, before leaping into their rattling death truck. But the upcoming game mode supply drop will include Historical Battles, a mode that’ll will tighten the chronological nuts and bolts and keep things relatively relative. The mode is about ensuring battles are constrained to tanks from specific eras, so a battle set in 1943 won’t have the T-54 (1947) or E-50 (1945) bursting into the fight, instead the time lock gives tighter, more plausible battles between tank clans eager to relive those time-specific tank rammies that boomed in the fields of WW2 (the first era to get the battles). Remember when it was all fields back then? These tanks do. It’s the most major game mode tweak coming, but not the only one: Attack & Defense sets one team as a base defense and the others as a baseless attacker. The tension is from the time limit: they have to destroy the enemy or capture it in under 15 mins, just like in the Battle of Kursk. Counter Battle’s schtick is that the two teams are fighting over a single base somewhere in the centre of the map. Both these modes are being prepped for the 7.4 update, while Historical Battles will land a bit later. Later still is Garage Battle, that lets you set up a mobile harem of tanks, all raring to go when one tank has been bested, so when you die you can return to the fight in a different tank and seek revenge. Reincarnage!